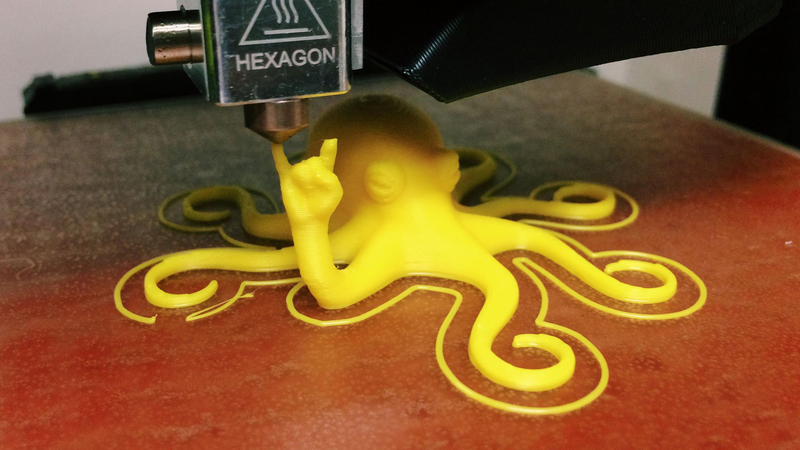 Have a 3D file you’d like printed? Bring it to BLDG 61 during any drop-in session. There are many different types of 3D printers; the library’s printers use Fused Deposition Modeling (FDM). This type of printing works by using software to slice a 3D model into layers. The printer then extrudes a plastic filament through a heated nozzle and slowly builds the model from the bottom up, one layer at a time. We presently use ABS filament with our Lulzbot printers, and it’s available in a variety of different colors. Objects can be printed as large as 10″ x 10″ x 10″. There are lots of free 3D software you can use to design objects. You can also find pre-existing models online. 3D Print requests will be processed in the order that they are received. Turnaround time depends on the number of prints in the queue, the complexity of the request, and the availability of staff. One week is typical. Bring your .stl or .obj files to BLDG 61 during drop-in hours. We look over your files and give you a cost and time estimate. Pay for your object when you pick it up in one week. $0.05 per gram in weight.